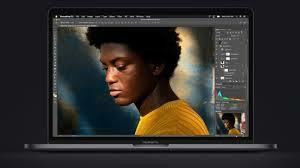 Apple has increased prices of its Mac computers in India. Actually, the decision to raise prices was taken this week with the launch of the MacBook Air and Mac mini. The highest increase in Apple Computer's computer costs is 61,800 rupees. Almost all models of this brand have become expensive. 12-inch MacBook, Old 13-inch MacBook Air, 13 and 15-inch MacBook Pro models, 21.5 and 27 inch iMac models, and Mac Pro. Let's say that only the 128 GB variant of the 13-inch MacBook Air is expensive. It appears that Apple has discontinued the 256 GB storage model. Remember that the new MacBook Air and Mac Mini models were launched this week. Indian prices have been announced and sales will commence on November 7. The design of both models has not changed for several years. The design of the MacBook Air was changed in 2010 and the Mac Mini in 2014. The new MacBook Air has a retina display. This laptop also has a Touch ID and its price starts from Rs 1,14,900. Prices have been bigger compared to the old variants. Right now, the price of the new Mac Mini starts at Rs 75,900.